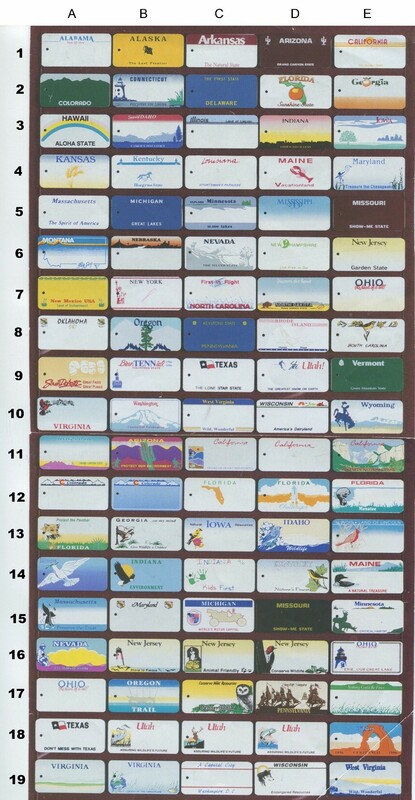 The Keyring Fobs can be printed as State License Plates, or with any 4 color process image desired at same price. All States License Plates are available. Click Here to see various State Plates. 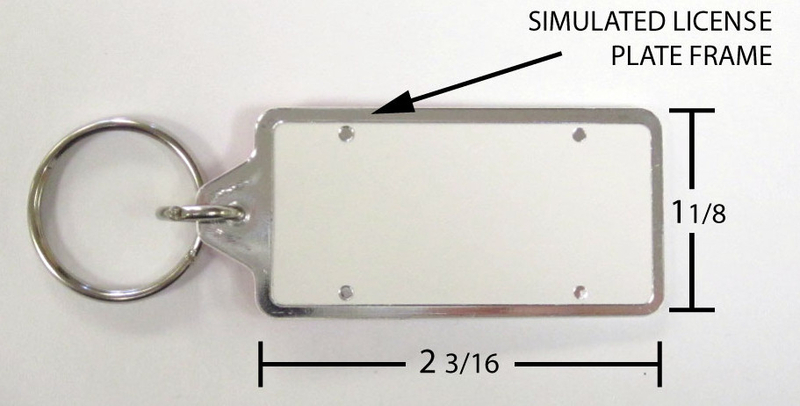 The simulated License Plate "Frame" printed in shiny Silver color on the outer edge of the Key Fob can be eliminated if desired, without change in price. Please specify on order. States Available: All. Click Here to view. Packaging: Bulk in large Polybag. Keyring is fully assembled. .PMS™ Color Match: $ 30 (G) per matched spot color. Second Side 4 Color Process: Same copy as front side only, add run charges above.